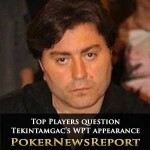 A major controversy has erupted during the World Poker Tour Championship’s $25,000 buy-in event with an alleged cheat, German Ali Tekintamgac, being allowed to take part at The Bellagio in Las Vegas – angering many of the world’s leading players. The WPT touched down in Florida this week for it’s seminal event in the State, the WPT Seminole Hard Rock Showdown. 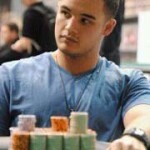 Taylor Von Kriegenbergh wins $1,1 million.